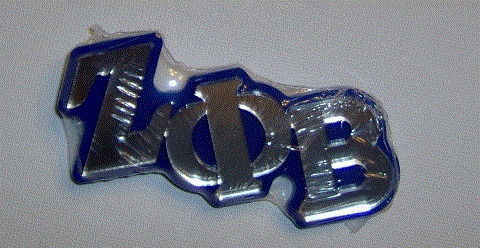 Wonderful pins to add a touch of Zeta to any outfit. Each pin measures about 3" wide. Choose from wooden or acrylic mirrored letters.